I've been invited to join with Bush Brothers to share my idea of a great summer kick-off cookout. 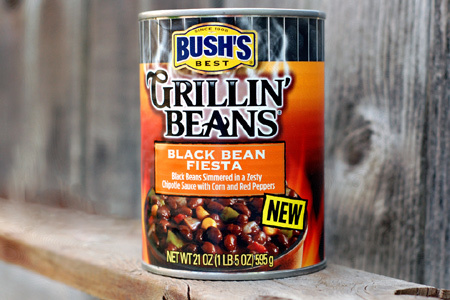 I'll be hosting a barbecue that will feature Bush's Grillin' Beans. I've been a great fan of Grillin' Beans, and I look forward to sharing how you can use them to add something special to your summer grilling. For my part I've chosen to host a "Pastor's Family Cookout". I'm forever grateful for all that my pastors and their families have done, and I want to honor their faithful service and sacrifice. I'm still finalizing the menu, but I'm putting together a meal that I hope will be very special. I do know that steak will be what's for dinner. But wait, there's more! The folks at Bush Brothers are providing a very nice grilling gift pack for me to give away. You will certainly want to be sure to enter when the time comes. I'll be posting more details about the cookout and the giveaway as it draws near, so stay tuned. Disclaimer: The cookout and giveaway are in partnership with Bush Brothers & Company. I think I need to give my pastor a call and set up a "Pastor's Family Cookout" myself! Perry - Amen, brother! We need not wait until October to show appreciation for all that our pastors and their families do. Sweet! I'll have to give those beans a try. Did you guys settle on a new pastor yet? Hey! Looks like i'll be speaking at the church sometime in June! I don't imagine the BBQ will be then eh :). Love the blog and everything i've cooked has been ridiculously good. Aaron - No, the search continues. Houghton - Thanks, bro! I look forward to seeing you. Sorry, but the cookout is next weekend.